[vc_row][vc_column][vc_column_text]Where anything below is in conflict with your statutory rights, then your statutory rights apply. Within South Africa goods are sent – free of charge – by Fastway Couriers who offer a 48 hour delivery time to major centres in South Africa (and sometimes quicker, we’re told.) We’ll do our best to dispatch orders within 3 working days of purchase, even same day if possible. All goods are sold subject to availability. 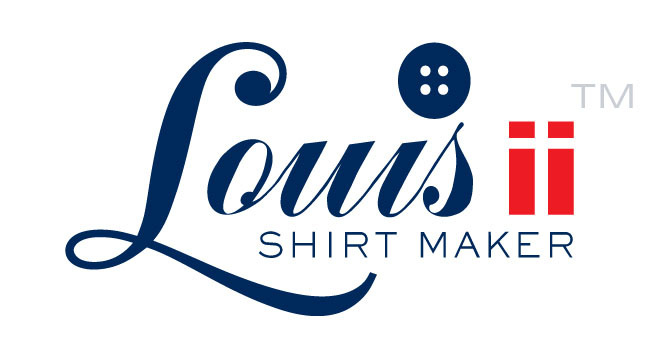 If a chosen shirt in your size is out of stock, you can contact us by email mail@louisiishirts.com to find out when next we’ll be producing that shirt. We bring to your attention that our shirts are not made in a huge factory; they’re made at a small facility and production capacity is limited. We’ll advise you of approximate completion and delivery date so that you can decide whether to place the order and pay for it. If you’d like to receive in-stock item(s) ahead of back order item(s) let us know, but there may be a courier amount payable beyond a single order. A signature is required on delivery. You’ll get an email with a tracking reference number when the goods have been dispatched. By arrangement you can collect from us in Cape Town and we’ll be delighted to meet you and deliver to you in person. For international orders, courier company costs are extremely expensive but we can offer a reasonable cost of delivery via our Post Office, see Payment & courier tab. Please note there may be delays at customs, and customs/import duties may be payable in your country. We have no control over these charges which differ, country to country. International customers must therefore make themselves aware of any import duties and other charges before placing an order. If for any reason you’re not satisfied with the product you bought from us we offer an exchange, or refund if you prefer, provided the products are returned to us within 14 days, complete and in original condition, unused and unwashed, and with all the original packaging. If the shirt(s) are not returned to us in a perfect and fully resalable condition, we reserve the right to refuse a refund or exchange on the item. In this event the item will be sent back to you on payment by you of the applicable courier fee. If you return an item(s) for exchange for different item(s) of the same value, your replacement will be despatched within 7 days of receipt. If you want to exchange for item(s) of a higher value, you must pay the difference in value before we dispatch the replacement item(s). If exchange is for item(s) of lower value we refund the difference, by refunding the full original amount and recharging the new amount. If exchange items are not faulty, or not incorrectly supplied, the customer is liable for replacement courier costs. Please note we cannot exchange or refund altered goods, for example if on your request, we changed the sleeve length. As with sales, all exchanges are subject to stock availability. Quality control is strict. Every shirt is thoroughly checked for faults during and after production. But if a fault has somehow gone undetected, or the item is not what you ordered, we’ll offer a refund once we’ve inspected the returned goods. You must notify us in writing within 5 working days that you received faulty or incorrect item(s) and tell us clearly what the problem is. We will refund delivery charges if there was an error on our part or if the item received is faulty, or deliver at no charge if you’d like a replacement item. If you change your mind and want to cancel your order, please contact us as soon as possible. If your goods have not been dispatched we can cancel the order and process a refund. If the order has been dispatched you must return the goods to us within 14 days so that we can process a refund. The returned goods must be received by us complete, in original condition, unused, unwashed, with all the original packaging and in a fully resalable condition. The costs of delivery will not be refunded. If you received an item as a gift, you can return it in exchange for a credit valid for 6 months. If you’d prefer a refund please be aware, the amount is credited to the original card or bank account used to buy the gift. Courier cost to you of an exchange gift item is payable before the new item is dispatched. If you are returning items to us from outside South Africa, indicate clearly on the package that the items are “Goods returned to manufacturer for exchange or refund” to avoid delay at South African customs. In all instances, a refund is given only to the original payer directly to their credit card or bank account. Where possible, refunds are processed within 7 days of receiving the returned items. If goods that were part of a multiple deal offer are returned for refund, the offer is invalidated to the extent it would no longer comply with the original deal offer; the refund amount will be adjusted accordingly. Applicable to all returns: if you’re returning your entire order you must include any gift you received with the order. For example, we sometimes run a gift promotion of mother of pearl collar stays on purchase of your first shirt from us. If any gift was included, you must also return the gift. You must arrange and pay for the return of the products to us. Subject to the maximum of our standard applicable delivery charge, we will refund the reasonable cost of return to us on proof of payment, for any faulty item or incorrect item supplied by us. Important: you are responsible for safely packaging your return to ensure we receive items in original condition. Please therefore use adequate packaging to protect your package during transit. We are not liable for damage to or loss in transit of any returned items. If you’re posting items to us, make sure you get proof of posting at your post office. We highly recommend using Registered Post so that the item may be tracked.